So, what's behind the name Acocote Eco Inn? Well, it represents our commitment to our guests and to the environment. Acocote is an old word for dahlia, the national flower of Mexico. Long ago, the acocote served the indigenous people as a portable sanctuary. Acocote provided food, water, beauty, and comfort to travelers adventuring far afield of home which is also our commitment to our guests. We are equally committed to protecting this fragile environment. 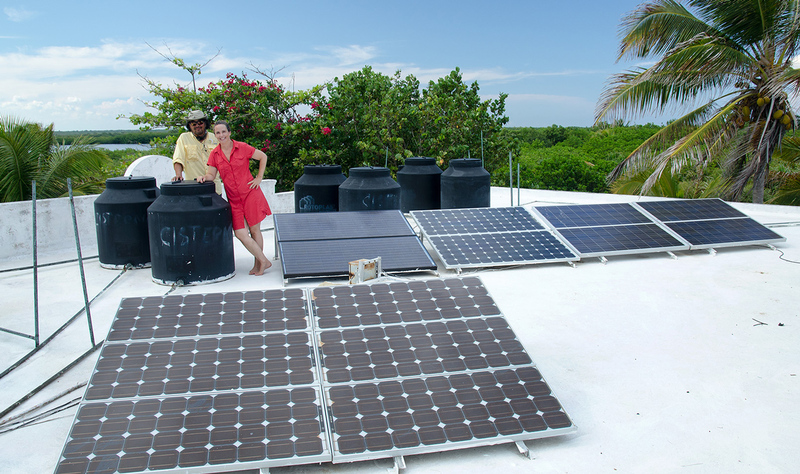 Acocote Eco Inn is 100% off the grid; utilizing solar, septic, and reclaimed water, minimizing our carbon footprint. By the way, our tag line: "Unplug. Recharge." Doesn't mean you can't bring your electronics with you, we do have power and internet connectivity, but you can minimize your carbon footprint staying with us completely unplugged from the grid. Being in such a secluded and pristine location, allows you to relax and unwind the stresses of work life and recharge your spirit. © 2015 by Acocote, Inc. All rights reserved.